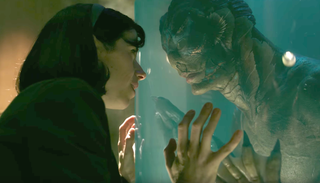 Guillermo del Toro’s latest film is a modern-day masterpiece about the unlikely love story between a mute human woman and a one-of-a-kind amphibian creature. The Shape of Water is lovely to look at but, for one hapless performer, making it sounds like it was hell. The Shape of Water is a beautifully written and shot movie, in part about transcending the physical barriers that can stand in the way of love. But fish suits are hot, sticky, and smelly; it takes a lot of love and strength to dance around in one for hours on end.